Team: The UAE entry has recruited a strong and experienced crew that includes a core of Volvo Ocean Race veterans with 15 previous appearances between them. The UAE entry has recruited a strong and experienced crew that includes a core of Volvo Ocean Race veterans with 15 previous appearances between them. Abu Dhabi Ocean Racing, led by double Olympic silver medallist and Volvo Ocean Race 2008-09 skipper Ian Walker, also has Adil Khalid as part of the crew, the first Emirati sailor to take part in the race. They will compete in Azzam, a sleekly designed black racing yacht designed by Farr Yacht Design, while Abu Dhabi itself will be the first Middle East stopover in the race’s history. Skipper: Ian Walker is one of Britain’s most successful sailors. At the 1996 Atlanta Games he earned his first Olympic silver medal, followed by another silver in Sydney in 2000. He has also skippered and managed two America’s Cup campaigns. He is also an experienced coach having guided Shirley Robertson to an Olympic gold medal in 2004. In the 2008-09 race, he was skipper of Irish Volvo Ocean Race team, Green Dragon. 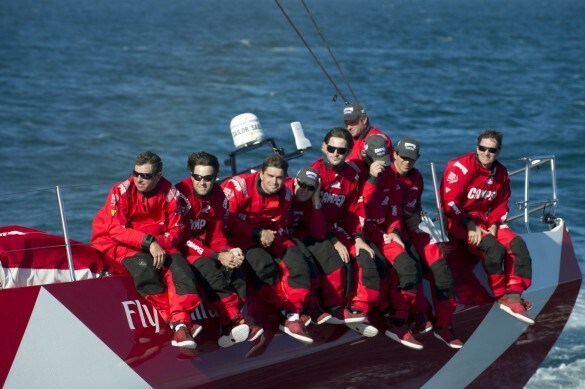 Team: Camper, the Spanish-based international footwear Brand, have teamed up with Emirates Team New Zealand, one of the world’s most prestigious professional sailing teams, to manage their first Volvo Ocean Race campaign. 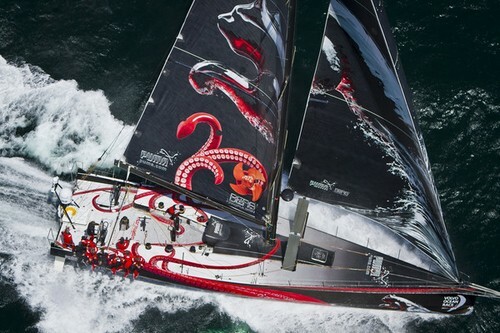 The project brings six-times Volvo Ocean Race veteran Grant Dalton back to the race as project manager. Dalton has gathered a crew of seasoned round-the-world sailors to join skipper Chris Nicholson on board CAMPER, their Marcelino Botín designed Volvo Open 70. Skipper: With more than 20 years of professional sailing experience, and three appearances in the Volvo Ocean Race, Chris Nicholson brings a wealth of knowledge to this campaign. His first appearance was as a watch captain in 2001-02 on Amer Sports 1, skippered by Grant Dalton. In 2005-06, he was a watch captain on board Spanish entry Movistar, and was watch captain on PUMA in 2008-09, finishing second. Nicholson has represented Australia at two Olympics (2000 & 2004), and has won six world championship titles in the 49er and 505 classes. Team: Franck Cammas and his crews have enjoyed outstanding results in multihull sailing for a long time but this switch to the premier test for monohulls is a real departure. Cammas, a French offshore legend, has taken on the challenge of bringing home victory in what is the first French campaign since 1993-94 and the days of Eric Tabarly. 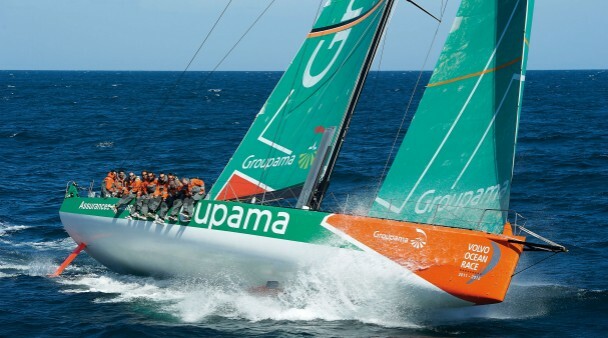 Groupama have signed up to compete in the next two editions of the Race in a boat designed by two-time race winner Juan Kouyoumdjian. Skipper: Franck Cammas, a talented sailor and a formidable adversary, has a long record of offshore racing achievement. In 73 races on board Groupama boats, Cammas has racked up 59 podiums and 33 first positions. In this last year alone, he has finished first in the Spi Ouest France, Route du Rhum, and the Sevenstar round Britain and Ireland race. Never one to shy from a challenge, Cammas has traded the multihull for a Volvo Open 70 monohull, Groupama 4, in what will be his first Volvo Ocean Race. Team: PUMA Ocean Racing turned heads on and off the water in the 2008-09 race, finishing second in a striking design, and have returned for the 2011-12 edition, again under the leadership of Ken Read and with a crew that collectively have sailed over 20 Volvo Ocean Race campaigns. Read and co have been joined by two honorary crewmembers, big wave surfer Laird Hamilton in search of monster waves and Marmo the sea monster, a symbol of the team’s commitment to ocean sustainability. Skipper: Ken Read, skipper of PUMA’s il mostro in the 2008-09 Volvo Ocean Race, is back looking to go one better than second spot last time. The Newport, Rhode Island native has twice helmed America’s Cup programmes and was named United States Rolex Yachtsman of the Year twice. He also has 46 world, North American and national championships to his credit. Team: The Telefónica team founded by Pedro Campos are competing for the third race in succession, having grabbed a podium place last time. The team have a long list of sailing successes behind them, including 15 world titles and three Olympic gold medals (won by Iker Martínez, Xabi Fernández and Jordi Calafat). Their 2008-09 Volvo Ocean Race campaign resulted in third place overall and victory in the in-port race series. For this edition, the team will sail a third generation Volvo Open 70, Telefónica, designed by Juan Kouyoumdjian. Skipper: Double Olympic medallist Iker Martinez is taking part in what will be his third Volvo Ocean Race. His first taste came in the 2005-06 edition of the race, on movistar, where he was tactician for the in-port races. In 2008-2009 he co-skippered Telefónica Blue to third place. A few weeks before announcing his participation in the 2011-12 Volvo Ocean Race, he raced non-stop and double-handed with his long-time sailing companion, Xabi Fernández in the Barcelona World Race, finishing in second place. The pair may yet take part in another Olympic campaign in London once this race has finished. Team: Team Sanya, sponsored by the Sanya Tourism Bureau, are the first sole Chinese entry to participate in the race. They clearly mean business, too, with Volvo Ocean Race veteran and two-time winner Mike Sanderson as skipper and a lot of talent in his crew. The team will sail a second generation Volvo Open 70 that has been refitted and renamed Sanya for this edition. Skipper: Sanderson has an impressive offshore sailing record including two previous victories in the Volvo Ocean Race. He won the race for the first time with NZ Endeavour in 1993-94 under Grant Dalton and in 2006 he skippered ABN AMRO ONE to one of the most emphatic victories in the history of the race, winning six out of the nine offshore legs and five of seven in-port races. He has also broken a number of world records, including the 24-hour speed record as skipper of ABN AMRO ONE, and was skipper of Mari Cha IV, which captured the historic transatlantic monohull world speed record in October 2003.